1. 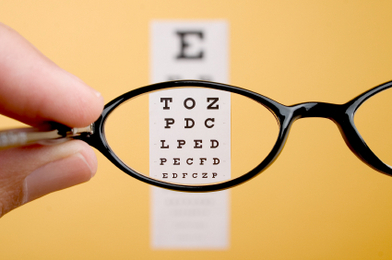 Get Regular Eye Health and Vision Examinations. Tired, dry, itchy or watery eyes, light sensitivity, headaches, blurry vision, fluctuating vision, and increased spots and floaters can all be apparent symptoms that your eyes need to be examined. However, some symptoms of eye diseases such as glaucoma can actually go unnoticed in early stages when they are more successfully treated. The eye ages just before the rest of the body does, so the condition of eye health, especially in the tiny vessels and nerves inside the eye, can give clues to overall health as well. Eating an unrefined, non-processed diet of fresh vegetables and fruits can lead to better eye health and slow the onset of some diseases such as macular degeneration, an irreversible degenerative disease of the retina. Pick dark, leafy vegetables such as spinach, kale, peas, and broccoli because of their high content of carotenoids, or antioxidants. Exercise reduces stress and eye pressure, as well as promotes cardiovascular health beneficial to the delicate structures of the eye. Studies have linked smoking to increased risks for macular degeneration. Macular degeneration is an irreversible disease of the retina area that can lead to loss of central vision and color vision. 5. Protect Your Eyes from Harmful Ultraviolet Radiation. Wear 100% UV-A and UV-B blocking sunglasses when in the sun. Studies have linked UV rays to damage and aging of the lens of the eye, called the crystalline lens. Some contact lens manufacturers are now including UV protection in their lenses. 6. Wear eye protection at work and play. Accidents at home and work are one the leading causes of vision loss in this country. When working in the yard or with power equipment, be sure to wear safety-approved eyewear. At work, wear industrial-safety eyewear where eye hazards exist. When using a computer for long periods of time, special eyewear for computer use can be designed to reduce eyestrain and make vision more comfortable.